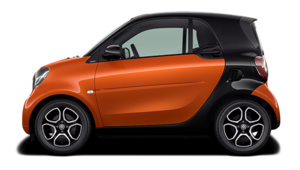 Your new smart is not far away. Silver Star Montréal offers one of the largest inventories of new and pre-owned vehicles in the Montréal area. At Silver Star Montréal, you're sure to find exactly what you're looking for. We have several Mercedes-Benz and Mercedes-AMG SUVs, Mercedes-Benz Sprinter vans, a large selection of smart fortwo and fortwo Cabrio models, and several new sedans, Mercedes-Benz, and Mercedes-AMG performance cars. It would be difficult to list everything we have in inventory, but you can come and discover our vast inventory today. From luxury SUVs to the very best luxury sedans in the world, Silver Star Mercedes-Benz has the vehicle you want at the right price. Come in and speak with our Mercedes-Benz experts. They will help you understand the Mercedes-Benz lineup, show you all of the new technologies you can expect to find in a new Mercedes-Benz or Mercedes-AMG, and help you find the vehicle that is right for you. No matter which Mercedes-Benz model you are interested in, we have it at Silver Star Montréal. We have a large selection of Mercedes-Benz and Mercedes-Benz AMG Class C, Class E, Class S, GLE, GLC and much more. At Silver Star Montréal, you're sure to find the right Mercedes-Benz for your needs and the needs of your family. For buyers looking for a van, we also have it at Silver Star Montréal. Our inventory includes a large selection of Sprinter, Sprinter 4x4 and Metris in all possible versions and configurations. 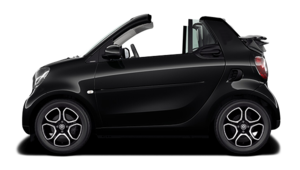 Finally, your new smart fortwo and smart fortwo Cabrio are also at Silver Star Montréal. You may already be used to going for it all and getting the very best out of everything. At Silver Star Montréal, we offer you the best of everything as well. We have a wide range of models in stock and ready to go, and we can get you in and out of the door quickly. You are sure to enjoy your experience at Silver Star Montréal, we promise you that.